General ledger (or GL) codes are numerals or words you assign to different debit or credit entries to make accounting easier and more functional. By assigning numerals to different types of payables or receivables, you can spend less time entering data, quickly sort your information and prepare simple reports you might use one time or frequently. To create general ledger codes in Wintix, go to File | General ledger codes. 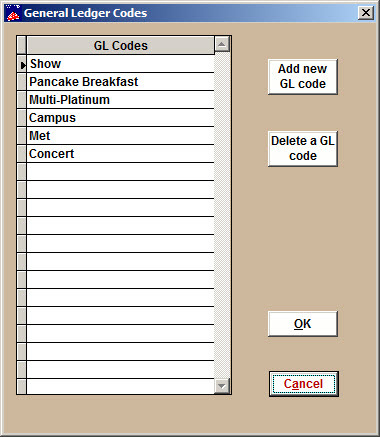 Type in the code and click the Add new GL code button. 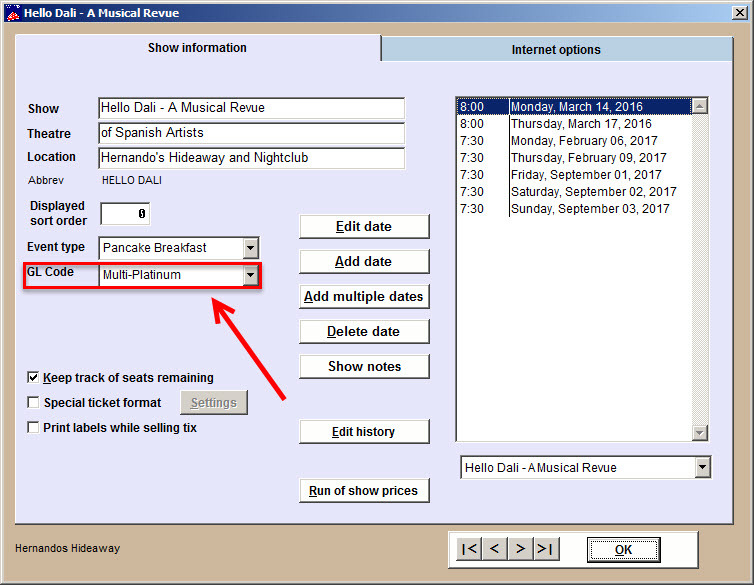 When you are adding or editing a show, you can assign GL codes to the show. This entry was posted in Webtix5, Webtix6 and tagged tutorial, User manual. Bookmark the permalink.